Connecticut legislators have introduced two more bills aimed at protecting children from the dangers of violent videogames. It turns out that Connecticut isn't just looking at slapping an extra tax on the sale of M-rated videogames. State Senator Toni Nathaniel Harp introduced a bill of her own that would limit access to videogames, not in the home, but in public arcades. The proposed bill, SB-328, is entitled "An Act Concerning Minors and Violent Point-and-Shoot Videogames," and would "prohibit a for profit business from allowing a person under the age of eighteen from operating a violent point-and-shoot video simulator on the premises of such business." The "point-and-shoot" descriptor presumably means games that use light guns, like Time Crisis, Virtua Cop and my personal favorite of the sub-genre, Terminator 2: Judgment Day. I have no idea how popular these things are anymore - in my day, arcade machines had a stick, one button and, if you were lucky, an ashtray - but Time Crisis is one of the games recently removed from rest stops by the Massachusetts Department of Transportation. Connecticut State Senators Scott Frantz and Andrea Stillman have also introduced a bill, SB-260, calling for the creation of a task for to "explore and identify any links between violent videogames and violent behavior in youths." The makeup of the task force and its mandate beyond that vague statement will presumably be determined if and when the bill is passed. The Sandy Hook shootings make Connecticut's videogame angst understandable but a law banning under-18s on light gun games would almost certainly be as "constitutionally problematic" as the removal of the machines from Massachusetts rest stops. 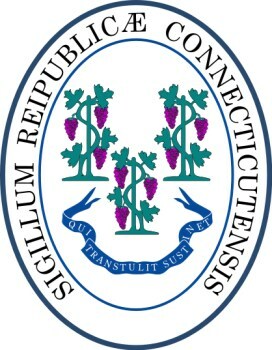 More information about the bills can be found at the Connecticut General Assembly: SB-328 and SB-260.